Since the beginning of time, dogs have been humans’ best friends. Energetic, playful and silly, dogs are loyal companions who completely change the daily routines of the people who open up their lives and homes to them. But, dogs can be a lot to handle, with messes, baths and all that walking. In case you’re on the fence, here are a few good reasons to bring home a new four-legged family member this Adopt-A-Dog Month®. Dogs are high-energy companions, love to play and need exercise. People who own dogs get more activity in their day simply by making accommodations for their dog’s lifestyle. According to the American Heart Association, dog owners are 54% more likely to get the recommended amount of exercise than their non-dog owning counterparts. As a result, and due to a stronger immune system from being exposed to pet fur and dandruff, many dog owners see a decrease in blood-pressure, triglycerides and cholesterol levels, making them less at risk for heart-disease. 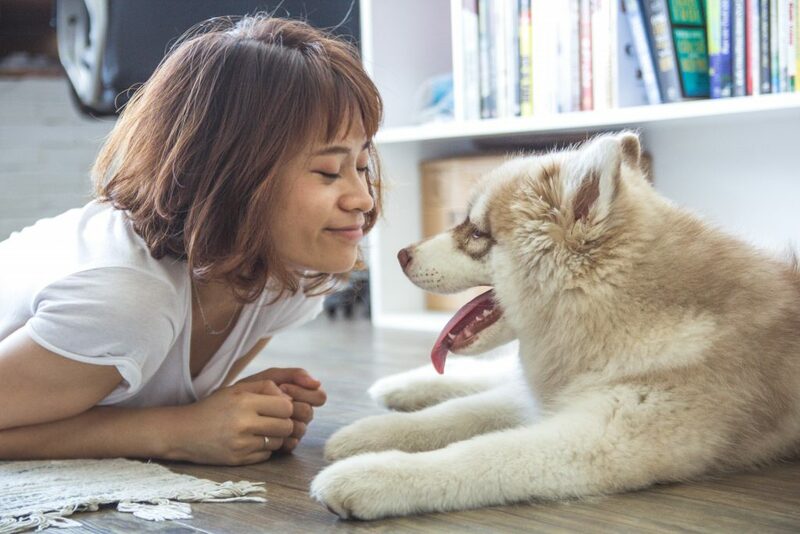 Dog owners are less likely to be depressed, and in fact, have higher levels of serotonin and dopamine than non-dog owners, mainly due to the fact that dogs are calming and familiar companions that can lead to less stress and anxiety. Additionally, dogs are natural conversation starters which promotes social interaction even for shy dog owners. The more social interaction you have, the more likely you are to engage in fulfilling relationships with people that make you happy. All this helps boost mental responses and motivation if struggling to get out of bed or to lose those last few pounds, leading to an overall sense of productivity and satisfaction. Plus, having a strong sense of purpose and a routine (which is often required for taking care of a dog) allows for stability which in turn helps fight mental illness. Studies have shown that barking dogs help deter burglaries and other violent attacks. With heightened senses of hearing and smell, dogs can detect things you can’t and alert you to possible danger. A dogs’ natural instinct is often to protect their home and family – something that can be annoying when the mailman comes to the door but useful if someone more nefarious comes around. Whether you’re taking your dog out for a walk or getting all snuggled up in bed, just having Fido around can help put your mind at ease, something that helps both your mental and physical health.